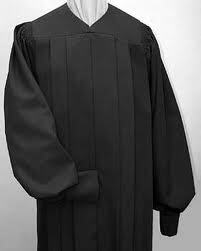 After any Supreme Court ruling, inevitable accusations of judicial politicking ensue. The focus on the identities of the voters often obscures the legal analysis behind the vote. However, this public discourse also underscores the fact that, in theory at least, we believe that adjudicators should be unbiased. What is law if not fair, and what is fairness without dispassionate adjudicators? The founding fathers, aware of the danger of a corrupt judiciary, explicitly enshrined the notion of judicial independence in the Constitution, mandating that judicial compensation “shall not be diminished during their continuance in office.” U.S. Const. Art. III §1. The thought was the congressional and executive branches should not be able to leverage the judiciary by threatening its compensation. Additionally, reasonable compensation attracts talented lawyers to the bench, thereby improving the administration of justice. So long as that compensation is maintained, judges will not be tempted to leave the bench–where subsequent private practice could be threatened by one’s previous judicial decisions, or vice versa. The United States Court of Appeals for the Federal Circuit recently affirmed the constitutional principle of judicial independence in Beer v. United States, ruling that Congress’ withholding of non-discretionary cost of living adjustments (COLAs) violated the Constitution’s promise under the Compensation Clause. The court did not reason that withholding COLAs devalued judges’ salary because it doing so devalued the real value of each salary dollar (“To be sure, the Compensation Clause does not require periodic increases in judicial salaries to offset inflation or any other economic forces.”) Rather, the court based its opinion on the expectations the legislative promise of COLAs created in judges. In contrast, the COLAs subsequently authorized by Congress and at issue in Beer were provided according to a “mechanical, automatic process that creates expectations and reliance when read in light of the Compensation Clause.” These were cognizable interests not subject to future deliberation, “Indeed, a prospective judicial nominee in 1989 might well have decided to forego a lucrative legal career, based, in part, on the promise that the new adjustment scheme would preserve the real value of judicial compensation.” Of further significance was the fact that the 1989 act banned judges from earning outside income and honoraria. Thus, the COLAs were meant to compensate for this loss of potential income. Concerns over judicial compensation have taken several forms in recent years. WLF has previously published on the linkage of judges’ and legislators’ pay here, as well as the issue of COLAs. But notwithstanding the legal arguments against these practices, judicial pay is arguably inadequate. Starting salaries for recent law grads match or exceed those of federal district court judges. As Chief Justice Roberts has said, “Inadequate compensation directly threatens the viability of life tenure, and if tenure in office is made uncertain, the strength and independence judges need to uphold the rule of law–even when it is unpopular to do so will be seriously eroded.” Thus while Beer is a step forward, more is yet to be done.